Sir William Paulet (c.1483-1572) is perhaps unique in his long public career at a time of great political and religious turmoil. He held positions under Henry VIII, Edward VI, Mary I and Elizabeth I, notably as one of the judges for the trials of Sir Thomas More and the alleged accomplices of Anne Boleyn. Indeed, it was of Sir William Paulet that Elizabeth I commented, "for, by my troth, if my lord treasurer were but a young man, I could find it in my heart to have him for a husband before any man in England." Dr Alan Bryson of the University of Sheffield will survey the influence of Sir William Paulet with relation to the Port of London. Alan Bryson is a sixteenth-century British historian, specialising in the reign of Henry VIII during the 1530s and 1540s and the reign of his son Edward VI, particularly in relations between the crown and the nobility and gentry. 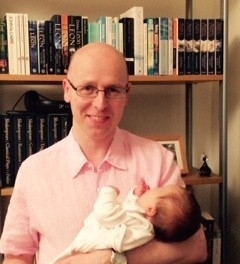 He also works on mid-Tudor Ireland and on sixteenth-century English and Scottish verse libel and manuscript culture, and has published with colleagues on interdisciplinary topics in the fields of History and Archaeology, Art History, and English. William, first marquis of Winchester and lord treasurer (1474-1572), is remembered today, if at all, for his remarkable longevity, dying at his great mansion of Basing House in his native Hampshire on 10 March 1572 at ninety seven or ninety eight. He was, in fact, one of the most important Henrician and mid-Tudor courtiers and magnates, but has been largely overlooked by historians, although he attracted enough interest during his long life and was regarded by contemporaries as one of the most significant figures in government. Although his recent biographer, David Loades, has commented on the lack of personal letters from Winchester, our subject is by no means a historical cipher and much can be done to reconstruct his life. For example, a substantial amount can (and to some degree has) been said about his role in court and county politics; his cultural power (much of the material culture for which is now, sadly, lost); and his role in crown finance. Winchester&apos;s place in architectural history is assured by his building work at Basing House, Netley Abbey in Hampshire, and probably by that at Austin Friars in London (which he renamed Winchester House), although little now survives. More portraits of him dating from the early Elizabethan period are extant than for any other man except the principal secretary Sir William Cecil, perhaps testament to his growing fame through long life. We also have his elegant tomb in St Mary&apos;s Church, Basing, and those he built for other members of his family. Here, however, my intention is to concentrate on only a few aspects of the man, particularly his relations with London during the 1550s leading up to the formation of the Legal Quays in 1559, setting this against the background of international trade and his role in restructuring of royal finance. Even then, much more can be said than our time will allow. The spur for this lecture series was the discovery of a wreck during routine dredging of Princes Channel in the Thames Estuary by the Port of London Authority in 2003. This work was being carried out in order to make the channel more accessible for a greater part of the tidal cycle, permitting better access for vessels into the modern port, an endeavour that brings us back to the latter&apos;s origins in the mid-sixteenth century. Archaeologists recorded the newly-discovered ship and recovered artefacts associated with it, including an anchor, about forty folded iron bars, lead and tin ingots, Spanish olive jars, and organic items like leather shoes, barrel staves and rope. The recovery of the remains of this armed merchant carvel was completed in 2004. Among the four guns salvaged is a rare cast-iron saker, marked with the grasshopper device and initials of the mercer and financier Sir Thomas Gresham (c. 1518-79). (This does not mean that he owned the ship, but that a gun made at his Mayfield forge in Sussex was aboard her when she sank.) Dendrochronological dating of the oak hull suggests its timbers were felled in 1574, and the ship was probably built soon after this in East Anglia (perhaps in Essex). The second reason for this lecture is that next year is the 450th anniversary of the establishment of the Legal Quays and the 100th of the formation of the Port of London Authority, and will be marked by a conference, "The Making of our City: the Elizabethan Port of London". These quays stretched along the north bank of the Thames for roughly 2000 ft from Queenhithe to Tower Dock, but the bulk of them lay between the latter and London Bridge. From 1559 it was illegal to land or load goods anywhere else but Legal Quays, overseen by customs officers, either in London or any other port. Winchester, as we will see, was the driving force behind this. Winchester may have been born at Fisherton-Delamare in Wiltshire, the eldest of four sons of Sir John Paulet (d. 1525), of Basing in Hampshire and Nunney in Somerset, and his wife, Alice. The Paulet family was among the wealthiest in Hampshire and Winchester rose through royal service steadily, before becoming a councillor by February 1526, and master of the king&apos;s wards in November. He was now one of Henry VIII&apos;s principal servants. In March 1539 he was created Lord St John and finally nominated to the Order of the Garter in April and installed in May 1543. On 16 May he was named lord great chamberlain, then in about November 1545 relinquished this for the offices of lord great master of the household and lord president of the privy council. This placed him at the head of the royal household below stairs and of the privy council. He relinquished these on 3 February 1550, when he became lord treasurer. The previous month he had been promoted to earl of Wiltshire, and his career culminated in his further promotion to marquis of Winchester on 11 October 1551. I will now talk about Winchester&apos;s career during the reign of Mary I, partly to illustrate something of his character. He perhaps opposed the alteration to the succession undertaken by Edward VI and John, duke of Northumberland, in summer 1553, displacing Mary in favour of Lady Jane Grey. Other privy councillors and courtiers were uneasy, but Winchester was brave enough and strong enough to voice his unease. In May he had supported efforts by Sir John Thynne, John Berwick the younger and Matthew Colthurst, for a partial restoration of Edward, duke of Somerset&apos;s estates to his widow on behalf of his heir Sir Edward Seymour. Somerset&apos;s sons were being brought up in Winchester&apos;s household, and he may have felt some bond towards them because of long years of royal service with their father (indeed, many mid-Tudor financial documents bear the signatures of both men, who worked together long into the night.) Expressing such support for a partial restoration could be dangerous in the paranoid atmosphere following Somerset&apos;s execution by Northumberland on a trumped up felony charge in January 1552. This lobbying by Thynne, Berwick and Colthurst, all former servants of Somerset, was probably also indirectly assisted by Gresham, Thynne&apos;s brother-in-law and Northumberland&apos;s most important expert on international finance. It proved successful. These two incidents show us that Winchester believed in the sanctity of inheritance rights and his rectitude about the proper way to do things; that he possessed a strong sense of what was right and what was wrong. During the 1553 succession crisis, a critical point was reached in Oxfordshire on 13 July when Sir John Williams proclaimed his support for Mary&apos;s counter-coup against Northumberland. He was said to have raised six or seven thousand men there for her. This action galvanised the privy councillors William, first earl of Pembroke, and Sir Thomas Cheyne, lord warden of the Cinque Ports, into trying to leave the Tower of London, where they were gathered, and caused support for Jane among their colleagues to disintegrate. Winchester did leave on 16 July but was brought back from his London residence Winchester House at midnight, a stark illustration of his desire to disassociate himself form Northumberland&apos;s regime. The next day Northumberland was forced back on Cambridge from Bury St Edmunds in Suffolk, receiving no help from the privy council, but "lettres of discomfort" instead. Winchester was prominent among those whose inertia hampered the duke&apos;s military efforts to deal with Mary. Winchester also played a prominent role during Wyatt&apos;s Rebellion (1554). He employed his close relations with the city when he went to the Guildhall on 25 February (the day that Sir Thomas Wyatt the younger issued his proclamation of rebellion at Maidstone in Kent) in order to get the unequivocal support of the mayor Sir Thomas White and the court of aldermen. He asked that the livery companies raise 2,000 men "or ther aboutes, in a redynes for the savegarde of the cyte, &c". After the fiasco at Strood in Kent on 30 January, when the London White Coats under the command of Thomas, third duke of Norfolk, and the vice-chamberlain Sir Henry Jerningham deserted to the rebels with cries of "we are all Englishe men, we are al Englishemen", a growing sense of panic gripped the government. Winchester was absent from court at the time but wrote to the principal secretary Sir William Petre the following day confirming that he was raising his affinity as commanded: that is his servants, tenants and others under his authority through his offices, including that of steward to Stephen Gardiner, bishop of Winchester. This company of 500 infantry and 100 cavalry was one of the largest and best equipped noble retinues in the realm, albeit one that would not be fully levied and mustered until 11 February. At the time, the marquis admitted that "I am not in helth", but performed his duties both competently and loyally. The most important detail for us here is that the privy council entrusted to Winchester the task of liaising with the mayor and court of aldermen about their part in defending the city gates and walls against the rebels and keeping watch there and in Southwark. "And this afternone they wilbe w[i]t[h] me agane to report what is don[e]", he wrote. He also asked the privy council to meet the city&apos;s requirements, for example by providing them with up to eight cannons to defend London Bridge and the gates (incidentally, these would prove critical in preventing the rebels from gaining access to the city on 4 February, in effect scuppering their chances of success). "It shalbe well done that vj men of knowlege in the warre be appointed to councell the cite ^to sorte & order there strenght", he ended. This was an astute observation because the rebels were led by many of the best trained and most experienced captains in England, men hardened in the campaigning in France and Scotland during the 1540s and trained in the new methods of warfare. It was vital that the likes of Winchester, the "speciall men in every shere", kept their nerve both in defending the queen&apos;s person and in securing the counties for her. This is certainly what Winchester did in Hampshire and other localities where he was a great landowner. John Foxe also gives the fullest account of Mary&apos;s Guildhall speech on 1 February in this edition. She ended by saying that "I wyll leaue wyth you my Lord Haward & my Lord Treasourer, who shalbe assistentes with the Maior for your defence". "Winchester standing by her, when the Oration was done, with great admiration cried to the people: O how happy are we, to who[m] God hath geue[n] such a wise & learned Prince" &c&apos;. The significance of this speech was that it was very important for Mary to retain the support of London through a direct appeal to their loyalty and Winchester was prominent on this occasion because of his role as the linchpin between the city and the court. During the final battle with Wyatt on 7 February Winchester&apos;s partially-raised retinue was under Pembroke&apos;s overall command, but not drawn up with the main army at the eastern end of Hyde Park between Holborn and Charing Cross. Instead, they appear to have been placed at Ludgate or Ludgate Hill. Pembroke succeeded in splitting the rebel force and Wyatt&apos;s immediate company, according to the school master and writer John Procter, "ranne down vnderneth the parke wal of bricke, adioyninge" St James&apos;s Palace and into Charing Cross, where they encountered the royal household. Wyatt managed to break free, made his way along The Strand to Fleet Street and passed under Temple Bar to the Fleet Bridge, with nobody impeding him. "Certayn of the lorde treasurer&apos;s band, to the number of CCC. men, mett theym, and so [the rebels] going on the one syde passyd by theym coming on the other syde without eny whit saying to theym". Winchester&apos;s company was commanded by his third son, Lord Chidiock Paulet (d. 1574), who appears to have played this role on similar occasions, as did his heir, John, earl of Wiltshire (d. 1576). The accusation by one historian that Chidiock&apos;s actions during Wyatt&apos;s Rebellion were "undistinguished" is unfair. This was actually a trap. "The queenes true subiectes" prevented Wyatt&apos;s entry into the city through Ludgate and, finding himself cornered, he surrendered. On 18 February Winchester accompanied Princess Elizabeth to the Tower, and the Queen Jane and Queen Mary Chronicler paints a negative picture of his attitude towards her. She asked him, while before Traitors&apos; Gate, &apos;"What are all theis harnessyd [armoured] men here for me?" and he said, "No, madam." "Yes (she said). "&apos; "Yt is saide that when she was in, the lord trezerer and the lorde chamberlain [Sir John Gage] began to lock the dores very straytlye", which upset Henry, second earl of Sussex, who said &apos;&apos;"What will ye do my lordes? What mean ye therin? She was a kinges daughter, and is the quenes syster"&apos;. Sussex challenged their authority, saying that they had no commission to act in this way. Although the context makes clear that the chronicler was not present, he most probably served in the Tower Mint and was well placed to provide a reliable account. The 1570 edition of John Foxe&apos;s "Acts and Monuments" introduced a lengthy section on "The miraculous preseruation of Lady Elizabeth", and this provides further details about her exchange with Winchester. It drew on Foxe&apos;s draft notes now in British Library, Harley MS. 419. These portray Winchester as hostile to the princess, with him berating her for refusing to leave the boat and enter Traitors&apos; Gate and saying "that she shuld not chuse", that is, she was in no position to refuse. He offered her his cloak, however, because she had sat down on the ground as it started to rain. Elizabeth then made her famous declaration that she was "the truest subject, being a prysonner", to which Winchester "answered agayne, that it was the better for her". Foxe explained why he had toned down the printed version, including making the lord treasurer appear more sympathetic: otherwise, "it might moue offence to some beyng yet alyue, and truth might get me hatred". Winchester was still represented in the 1570 edition, however, as antagonistic towards Elizabeth when he was sent to take her to the Tower on 17 March. He refused her request to wait until morning and was unhappy about permitting her to write to Mary "adding that in hys iudgement it would rather hurt the[n] profite her grace in so doyng". Her reception in the Tower is the same as in Harley MS. 419, albeit now he is referred to as "one of the Lordes which shall be nameles". However, here he agreed with Sussex that they should not exceed their commission as to how she was incarcerated. Foxe also gives the fullest account of Mary&apos;s Guildhall speech on 1 February in this edition. She ended by saying that "I wyll leaue wyth you my Lord Haward & my Lord Treasourer, who shalbe assistentes with the Maior for your defence". "Winchester standing by her, when the Oration was done, with great admiration cried to the people: O how happy are we, to who[m] God hath geue[n] such a wise & learned Prince? &c&apos;. The significance of this speech was that it was very important for Mary to retain the support of London through a direct appeal to their loyalty and Winchester was prominent on this occasion because of his role as the linchpin between the city and the court. Mary died on 17 November 1558 and was succeeded by her half-sister Elizabeth. Any doubts about Winchester&apos;s political future were quickly dispelled, despite his difficult relations with the latter during Wyatt&apos;s Rebellion. She is even said to have joked that "if my lord treasurer were but a young man, I could find it in my heart to have him for a husband before any man in England". Elizabeth was, however, politically astute in her choice of servants at her accession, filling her privy council with talented and like-minded former Edwardians. Winchester was among the nobility ordered to attend her with his household servants on her triumphant progress from Hatfield in Hertfordshire to London, beginning on 23 November. He was highly organized, composed and meticulous, a man who believed in careful husbandry of crown finance. This made it obvious that he must retain his office of lord treasurer. Critically he had centralized finance under the exchequer once more during the 1550s, which he made his own domain after absorbing the courts of augmentation and first fruits and tenths into it. He attempted to force through the reinstatement of medieval exchequer practices ("the ancient course"), partly to stamp out corruption. In this he was only moderately successful, while a series of defaults by exchequer tellers in 1571 showed that the system was still lax under him. He had, however, through Gresham restored the value of sterling in foreign exchanges, brought inflation down through re-coinage at a new standard of fineness and did much to ameliorate the crown indebtedness. During the 1560s Winchester worked in partnership with principal secretary Cecil, Elizabeth&apos;s chief counsellor, until old age finally caught up him. Cecil dealt with policy, attending closely on the queen, while Winchester implemented decisions. George Ramsay noticed that, perhaps due to Winchester&apos;s regular absence from court (either at the exchequer or more often at Winchester House or Chelsea), his correspondence is second only to Cecil&apos;s in the State Papers Domestic during these years. This contrasts sharply with Mary&apos;s reign, suggesting an upsurge in government activity regarding crown finance and the economy. The most significant development in crown finance was the revised book of rates of 1558 (the first since 1506), which was implemented in 1565 through the new port books. The Legal Quays are a direct result of this. The new book ended a century of experiment in customs administration, making the latter the largest proportion of crown revenue and focusing the government&apos;s attention in the 1550s and 1560s on the importance of the London-Antwerp trade network to international politics and the economy. Relations between London and the court were close, reinforced by strong individual ties. For example, in 1549 Thynne married Gresham&apos;s sister Christiana. Winchester himself had married Elizabeth Capell (d. 1558) in about 1506, when he became a freeman of the Drapers Company. She was the daughter of Sir William Capell, lord mayor of London in 1503-4 and 1510-11, and his wife, Margaret, and it was almost certainly through him that Winchester (then an established lawyer) entered the company. Loades can find no evidence that Winchester ever practiced his trade, and he must have become a Draper for political and social reasons, and for the financial rewards to be had through his new connections to the London merchant community. He certainly attended feasts held at the Guildhall and in the livery halls, particularly after he became lord treasurer; and these provided excellent opportunities for business and political networking. Winchester kept an ear to the ground for events in London too, something he boasted to Cecil about in February 1564. He continued to act as the point of contact between the city and the crown. For example, in August 1558 he informed Mary that warrants had been issued for venison to be given to the citizens from the royal estates (a by-product of the sport of hunting), "as yearly has been done since I remember, wishing continuance of your favour to the city that deserves the same in all your service". What was the impetus for these reforms, apart for the near-bankruptcy of the crown in the 1550s? Winchester said that "her majesty must first bring herself from debt to treasure", reducing expenditure and finding new sources of revenue. Recourse to selling some crown lands, although not the royal demesne, was inevitable, and he asked that Elizabeth seek parliamentary subsidy in 1559. He wanted to accumulate gold, keeping it in the Tower (which was the national treasury, as well as the state prison and arsenal), in a form of chamber finance that Henry VII would have understood, albeit one regulated through the revived ancient course of the exchequer. This was a pipe dream. Instead, it was his revision of the customs (and the establishment of the Legal Quays which made this enforceable) that gave Elizabeth a new financial foundation. Soon after parliament rose the Legal Quays were authorised by letters patent on 14 June 1559, when Winchester, Sir Richard Sackville and Sir Walter Mildmay, the under-treasurer and chancellor of the exchequer respectively, were appointed "for the lymytacon assigninge and appoyntinge of all the kayes and wharfes and places apperteyninge and belonginge to the porte of London for the charginge and landinge discharginge vnlodinge and laynge on lande there of wares and merchaundizes". Their task was to survey the quays, wharfs and creeks of London and its environs, recommending which ones should be "appoynted limitted and assigned by force of the premysses", that is, by authority of the letters patent in accordance with the statute 1 Elizabeth I, c. 11. This Act of Frauds (1559) prohibited landing or loading goods anywhere else but these new Legal Quays, to be overseen by customs officers, with commissioners appointed to designate such quays at every port in the realm. "This was the first statutory definition of the fiscal port of London" and was part of a "systematic and thorough reform of the customs" by the exchequer that began in Mary&apos;s reign, but originated in the 1552 commission into royal income and expenditure. In May 1557 a commission had been established, headed by Winchester, to examine why the "customs and subsidies be greatly diminished and decayed and from time to time do decay as by the records of our exchequer more plainly appeareth". Even the phrasing shows that he was the driving force behind it, and we almost hear him speak here. It was in the light of these commissions, and other privy council "committees", that he issued a revised book of rates on 28 May 1558, the first in fifty years. Its impact was "radical and comprehensive", adding some 300 commodities to bring the existing list to about 1000, nominally levying poundage ad valorem ("according to value") of 5% (1 s in the £), and putting specific duties on certain goods like beer and wine. This raised customs by about three quarters and more than doubled this source of revenue for the crown to about £80,000, although whether or not it made England a high-tariff economy and large-scale or widespread smuggling profitable is debatable. It is true that by the mid-1560s foreign merchants petitioned the crown over the increased expense of trading with England. Brian Dietz felt that the levy should have been even higher, because the real price of commodities was at least 25% more than that assigned them in the revised rates. This supports the case that Winchester was a friend to merchants and commercial activity, a man who promoted the economic wellbeing of the realm through limited government intervention and low taxation. Another factor is that he relied on the expertise of the merchant community for advice on the range, measures, and price of wares to be rated, and they deliberately undervalued, perhaps reducing the new rates by as much as 2%. This, then, was a compromise. Winchester was able to make a much more accurate assessment of the cloth trade of 6 s 8 don each undyed cloth exported, which worked out at between 3-8% in real terms on woollen cloths. "In no sense could these duties be considered either protective or a strong inducement to evasion", according to Dietz. Ramsay, however, stressed how substantial this increase was, jumping nearly 500% from 14 d to this new figure of 6 s 8 d, and causing deep shock to the London merchants used to paying a trifling amount in customs. Even the steeper new custom on alien cloth exports of 14 s 6 d (up from 2 s 9 d) did little to cheer them. As for smuggling, Evan Jones does find much evidence for a substantial increase in mid-Tudor Bristol, but this may have been less so in south-eastern ports that could be regulated more closely by the government. Besides, the impact of inflation during the 1540s meant that the real value of the new poundage was more like 2-4% on most commodities, making smuggling unprofitable except for certain goods like grain and leather that were subject to different duty levels and to export restrictions. In the case of Bristol, Chester and East Anglia smuggling did represent a substantial part of the export trade. From 1541 to 1543 the customs revenue on exports collected at Bristol was £1,738, whereas Evans calculates that the volume of trade could actually have been as high as £3,905. This would mean that smuggling accounted for 55% of the value of exports. Regional exceptions notwithstanding, the impact of inflation on profit-margins and the risk of being caught as a result of Winchester&apos;s more rigorous method of assessing the customs, made smuggling less attractive and the book of rates itself less accurate as the century went on. However, it also meant that customs ceased to reflect prices accurately. Getting back to the 1560s and 1570s, careful regulation of customs was essential. Dietz thinks that the new book of rates gave Winchester the impetus for the creation of the Legal Quays, which would give the government much closer supervision of the customs (including that of the wharfingers who actually handled the cargos). However, it seems clear that the Legal Quays were always intended, otherwise the new customs could not be gathered efficiently. On Winchester&apos;s advice, the crown bought Old Wool Quay for £400 from the Butchers Company in 1556 and New Wool Quay for £600 from Philip Linne of Bassingbourn in Cambridgeshire in 1558. These large quays just west of the Tower were adjacent, and New Wool Quay already had two gibbets, that is, short cranes rather than the gallows on which the bodies of executed criminals were displayed. New Wool Quay was renamed Custom House Quay in July 1558. "The suerty of youer Custom[e]s house & warf[e]s is made to youer grace and to youer heires/ and therefor I mynde now to sett furth[e] the byldinge of the same as they may be p[er]fitly redy by the latter Ende of may next": that is, by May 1559. Winchester petitioned Mary to begin construction of a new Customs House there; his intention was to rebuild both quays and perhaps even to focus much overseas trade at them, which would make customs regulation easier and more efficient. However, his plan was never realised, perhaps because Mary died of stomach cancer in November 1558, and these two landing places came to carry out the same function as the other Legal Quays. On 24 August 1559 Winchester, Sackville and Mildmay reported on their survey of the Legal Quays. The final clause, while apparently straightforward, is in fact among the most intriguing. "And that all creeks wharfes kayes ladinge and dischardginge places" at Gravesend, Woolwich, Barking, Greenwich, Deptford, Blackwall, Limehouse, Ratcliff, Wapping, St Katherine&apos;s, Tower Hill, Rotherhithe, Southwark, London Bridge, "and euery of them[, a]nd all and singuler kayes wharfes and other places within the Citie of London and the suburbes of the same citie or ells where within the said porte of London...shalbe from hencefourth no more vsed as ladinge or dischardginge places for merchaundizes but be vtterly debarred and abolyshed from the same for ever by force of the said statute and other the premysses". As we saw, this now made it illegal to load or unload ships anywhere but the designated quays, a system that would be expanded during the 1560s to cover the whole realm of England (but not Ireland). However, the historian of the book Ian Gadd has shown recently how the London Stationers petitioned the crown for closer regulation of their trade at about this time. In effect, they wanted a monopoly based in London that excluded all other printers and booksellers who were not Stationers, killing off the provincial book trade. Here, he argues that censorship and regulation need not be government-directed. Is this one reason for the establishment of the Legal Quays? London&apos;s political and economic life was dominated by its livery companies, especially the twelve great ones, to a degree that was absent from many continental cities like Antwerp. Commercial and social activity there was also highly regulated by these companies, something that became more pronounced during the years from about 1530 to 1580, when the Merchant Adventurers (a trading organization headquartered outside England, not a livery company) monopolized much of the cloth trade and infiltrated many aspects of urban life. The leading citizens, particularly among the Merchant Adventurers (who dominated the Mercers Company), cultivated close ties with the government in order to retain their privileges and acquire new ones, often ones without the formal recognition that came with either a charter of incorporation or a patent. A good example is the successful efforts by the Merchant Adventurers throughout the century to impede petitions by English clothworkers to have cloths finished domestically before export, something that would hurt their profits. They restricted membership of their company from 1555 onwards, after challenges between 1550 and 1553 as to how people entered it by redemption (that is, by paying a fee). From now on the Merchant Adventurers were a narrow oligarchy, no longer even admitting citizens who had fulfilled a seven-year term of apprenticeship and been admitted to a livery company (for example, the Mercers). This limited the Antwerp-London trade to an oligopoly, that is, "a state of limited competition, in which a market is dominated by a small number of producers or sellers". In 1535 seventeen Merchant Adventurers (just 13% of the traders) owned nearly half of all cloths shipped from London; and in 1564-5 forty six men held a similar proportion. Dietz supports the view that smuggling in London was more limited despite the customs revision because the Merchant Adventurers did not want to jeopardize their close relationship with the crown, which was central to their trade privileges. In fact, their own "jealously-guarded jurisdiction and close supervision of shipments supplemented the checks and control&apos;s of the crown&apos;s own officials&apos;. The formation of the Legal Quays, like the incorporation of the Stationers Company, could only reinforce the Merchant Adventurers" monopoly of London trade. London was the obvious place to begin with (because about 80% of overseas trade passed through it); but it was not alone. Between 1559 and 1565 the English and Welsh ports were surveyed, including Lyme Regis in Dorset, Bridgwater in Somerset, Bristol in Gloucestershire, Chester, Carlisle in Cumberland, Newcastle, and the various ports of Glamorgan and Monmouthshire. Winchester then issued a book of orders to improve administrative efficiency and uniformity. While this covered the whole realm, he began (like the surveying of the Legal Quays) with London because it controlled so much trade and because of the scale and complexity of customs administration there. Historians like Norman Gras and Dietz have examined this customs administration in detail, and I want to touch on it only briefly here. The collectors, controllers, head searcher, surveyor and tide-waiters received the port books from the exchequer, and these books were the final part of Winchester&apos;s reforms, becoming the principal customs accounts of the realm. The customs officers were bound in a recognizance to the exchequer to keep their records accurately, although from an early stage they had problems recruiting competent and experienced men to work under them (in effect, as servants). Neville Williams, Dietz and others have rightly emphasised the importance of this new class of documents (Public Record Office, Exchequer 190) as source material for the commercial, financial and social history of Britain, albeit ones which record patterns of trade imperfectly. The first two London port books were issued by Winchester in late 1564 for use during Easter term (April-June 1565), documenting the controller&apos;s account of the subsidy of tonnage and poundage on native exports and the surveyor&apos;s on foreign exports. The third surviving port book for the decade, covering 1567-8, is the surveyor&apos;s record of the custom on native and Hansa imports. Dietz used all three to make estimates of exports (almost entirely of English woollen cloth) and imports (mainly linen, silk, fustian, metalware, metals, dyestuffs, groceries and spices). He concluded (albeit tentatively, because the archive is incomplete) that exports exceeded imports in value. In 1567-8, for example, he thinks that cloth exports could have been worth about £318,000, and imports £165,722. This means that, generally, the balance of trade was very healthy during the 1560s. This trade was concentrated to an overwhelming degree on Antwerp until the Dutch Revolt broke out in 1568 and disrupted the market, dislocating it permanently. Winchester needed reliable, like-minded, men in charge of customs administration and turned to the catholic privy councillor Sir Francis Englefield, who was appointed general surveyor in July 1558. He was assisted by Thomas Smythe and William Byrde. Unfortunately, Englefield chose to go into exile on Elizabeth&apos;s accession and Smyth and Byrde took advantage of the power vacuum in the customs administration to line their own pockets on a spectacular scale. The customs waiters and searchers carried out their work on ships at the quayside, recording the name, master, cargos, etc, and obtaining hands-on knowledge with each search. They then produced a master&apos;s or certificate book detailing what was being imported or exported. For outward bound ships they could compare their own record with that provided by the master, the cocket. Both should agree. Each inbound ship was searched by two officers in order to assess for the subsidy, each entering his findings into his own certificate book, providing a further safeguard. Yet more checks were made, depending on whether the master wished to declare his cargo by bill or ad visum ("at sight"). If he chose to have it assessed by bill, then he presented this first to the collector, who valued it and passed it on to the controller, to do likewise; if by ad visum, then two waiters carried it to the Customs House, to be assessed by the collector and the controller. This was then recorded by each official in their port book, meaning that there were multiple records of the cargo that should all agree. This was meant to tighten up regulation in order to prevent fraud by either the merchants (and merchants were the most active smugglers during this period) or by the customs officers, although as Jones has shown in his study of smuggling in mid-Tudor Bristol, it was possible to get round this through the collusion of the crown officers, who came from the same tightly-knit community as the merchants and the urban elite who dominated civic government. In London unloading was carried out by lighter, except for bulk goods, and most luxury goods, including fine cloths and haberdashery, could only be landed at the Custom House Quay, under the watchful eye of its officers. Evasion and smuggling seems to have been more prevalent at the outports, although the greatest temptation must have been in London, where most international trade was concentrated. Dietz finds evidence that customs officials took bribes during Elizabeth&apos;s reign, permitting smuggling to go on there, and Smythe and Byrde made great wealth through their offices, especially after Winchester died. The difficulty of proper regulation was exacerbated because London was ill equipped and congested for the volume and complexity of the trade carried on there. As we saw, for this reason Winchester probably intended that the Customs House and Old and New Wool quays be the sole ones used for lading and unlading cargoes (the fiscal port), but neither was adequate to the task, and even if both had been modernised, would have been too small for the volumes involved. To try to get round this problem certain quays were set aside for certain cargoes: for example, the Customs House Quay and adjacent ones were for general merchandise; Bear and Young&apos;s Quays for the Portuguese trade ("by reason the merchants of that contree did lye and had ther ware howses there and with some cost men"); Billingsgate for fish and other foods; Bridgehouse for corn; Bushe&apos;s wharf for woollen cloths; the Vintry and adjacent ones for oil, wainscots and wine. The only other alternative was to bring the entire Legal Quays under crown control, extensively rebuilding them and putting the many "blind" quays at places like Tower Hill, Rotherhithe and Southwark beyond use (something that the customer and merchant George Needham was still arguing for in the 1580s). Although Winchester had envisaged this during the 1550s, it was probably beyond the capacity of the Elizabethan government, which would not support him here. This does not prove that Winchester&apos;s reforms failed, only that corruption and smuggling continued, and grew as trade did. Already by summer 1566 the crown wanted to farm out the customs, to which Winchester was deeply opposed. The lord treasurer objected, saying that it would impede trade, diminish revenue and that the farmers were "decayed men and of no substance nor credit" (status was an important quality in this situation) and would be corrupt. He tried to block one such measure for wine, only to be rebuked by the privy council in January 1570. The wily old man ignored them and continued to support his customs officers "both secretly and openly", leading to a cold war between the crown and them over the next two month&apos;s until he was, in effect, read the riot act for disobedience. Again, his strength of character (particularly his sense of rectitude) is evident. Winchester was most likely correct in distrusting farms, which removed supervision from the crown and gave it to a private individual, whose interest was personal profit (furthered by yet more corruption) not that of the common weal. However, not all men had his grasp of the detailed workings of the exchequer and its customs, nor knew its personnel so intimately (indeed, his customs officers dined with him after rendering their account). His stewardship of the exchequer was reminiscent of Henry VII&apos;s chamber finance in the 1490s and 1500s and only possible so long as his grip remained strong. After his death farming won out; it became intimately related to court patronage, binding courtiers and merchants ever more. Winchester is famous for the aphorism "ortus sum ex salice, non ex quercu, I was made of the pliable Willovv, not of the stubborn Oake". He is said to have given this response to a question about how he had served four monarchs without mishap, especially as one had been Henry VIII. But this is a product of Sir Robert Naunton&apos;s imagination, first aired in his essay Fragmentia Regalia in 1641. Contemporaries offer better insights. The humanist and diplomat Sir Richard Morison disliked Winchester&apos;s seeming unprincipled nature, saying (like Thomas Cardinal Wolsey) that he had "a tongue fit for all times, with an obedience ready for as many new masters as can happen in those days". However, that harsh critic of backsliding, John Knox praised him: "who could best dispatch business, that the rest of the council might hawk and hunt, and take their pleasure? None like unto him". Both men hit at the truth here. The key to Winchester&apos;s success was "adaptability...with a singular gift for winning the confidence of others". Quite simply, he got things done efficiently and well, and he understood finance and good housekeeping better than almost all his contemporaries. Except, like Mr Wickfield in David Copperfield, when it came to his own affairs. Winchester died intestate, owing the crown some £34,000, and private creditors a further £12,000, much of it lavished on his beloved building projects. His public achievements were never more apparent than in partnership with Gresham during the 1550s (which I have not really discussed) and with Cecil during the 1560s, re-founding the basis of crown finance after near-bankruptcy and debilitating inflation. Winchester&apos;s revision of the customs had far-reaching consequences for government revenue and policy, permitting Elizabeth to (in effect) live of her own with little need for parliamentary subsidies, during the 1560s and 1570s. It reshaped crown finance until the outbreak of the British civil wars. Cicero, The Worthye Booke of Old age othervvyse entituled the elder Cato, trans. Thomas Newton (STC 5294; London, ), sigs. +4v-+5; J.D. Alsop and D.M. Loades, "William Paulet, first marquis of Winchester: a question of age", Sixteenth Century Journal, xviii (1987), 333-41; D. Loades, The Life and Career of William Paulet (c. 1475-1572): Lord Treasurer and First Marquis of Winchester (Aldershot, 2008), pp. 5-7. Historians who have worked on Winchester, include: J.P. Henderson, "Sir William Paulet" (unpublished Ph.D. thesis, Northwestern University, 1969); R.H. Fritze, "Faith and faction: religious changes, national politics, and the development of local factionalism in Hampshire, 1485-1570" (unpublished Ph.D. thesis, Cambridge, 1981); The History of Parliament. The House of Commons, 1509-1558, ed. S.T. Bindoff (3 vols., 1982), iii. 72-75. Loades, Winchester, p. 1; G.D. Ramsay, The City of London in International Politics at the Accession of Elizabeth Tudor (Manchester, 1975), pp. 146-56; Fritze, "Faith and faction"; R.H. Fritze, "The role of family and religion in the local politics of early Elizabethan England: the case of Hampshire in the 1560s", Historical Journal, xxv (1982), 267-87; W.C. Richardson, History of the Court of Augmentations, 1536-54 (Baton Rouge, LA, 1962); J.D. Alsop, "Government, Finance and the Community of the Exchequer", The Reign of Elizabeth I, ed. C. Haigh (1984), pp. 101-23; C. Coleman, "Artifice or accident" The reorganization of the exchequer of receipt, c.1554-1572&apos;, Revolution Reassessed: Revisions in the History of Tudor Government and Administration, eds. C. Coleman and D. Starkey (Oxford, 1986), pp. 163-98; A.H. Thompson,Netley Abbey(1952); R. Strong, Tudor & Jacobean Portraits (2 vols., 1969), i. 332-3; ii. cat. 657-8; Winchester House, London, carved oak panel, c. 1540-50, V&A, cat. 1585-1855. The "Gresham Ship" was perhaps 150-250 tons, which is much larger than the average Elizabethan merchantman (56 tons in 1567-8 and 82 tons in 1600, based on the London port books): G. Milne, "Gresham Ship Project: researching a Tudor ship from the Thames" (2008) [http://www.nasportsmouth.org.uk/projects/gresham.php, accessed 09 November 2008]; J. Auer and A. Firth, &apos;The "Gresham Ship": an interim report on a 16th-century wreck from Princes Channel, Thames Estuary&apos;,Journal of Post-Medieval Archaeology, xli (2007), 222-41; B. Dietz, "Antwerp and London: the Structure and Balance of Trade in the 1560s",Wealth and Power in Tudor England: Essays Presented to S.T. Bindoff, eds. E.W. Ives, R.J. Knecht and J.J Scarisbrick (1978), pp. 193-97. Public Record Office, E 159/340, rot. 222; The Port and Trade of Early Elizabethan London: Documents, ed. B. Dietz, London Record Society, 8 (1972), x, pp. 166-7; "Dikes, Dockheads and Gates: English Docks and Sea Power in the Sixteenth and Seventeenth Centuries", Mariner&apos;s Mirror, lxxxviii (2002), 144-54. Loades, Winchester; Oxford Dictionary of National Biography, eds. H.C.G. Matthew and B. Harrison (60 vols., Oxford, 2004). Longleat, Thynne MS. 2 fos. 171-172v; Thynne MS. 2 fos. 180-181v; A. Bryson, &apos;"The speciall men in every shere". The Edwardian regime, 1547-1553&apos; (unpublished Ph.D. thesis, St Andrews, 2001), pp. 225, 272; Bindoff, i. [422-4, 679-80]; iii. 463-7; Loades, Winchester, pp. 161-2. The Chronicle of Queen Jane and Two Years of Queen Mary, and Especially of the Rebellion of Sir Thomas Wyat, ed. J.G. Nichols, Camden Miscellany (Camden Society, 1st ser., 48, 1850), 9; Bryson, pp. 263-89. John Proctor, The historie of wyates rebellion (STC 20407; London, 1554), sigs. E4v-E8r; P.R.O., SP 11/2/29 M[icrofilm]. fos. 62-63v; S. Adams, "The English military clientele, 1542-1618", Patronages et clientélismes, 1550-1750 (France, Angleterre, Espagne, Italie), eds. C. Giry-Deloison and R. Mettam (Villeneuve d&apos;Ascq Cedex and London, 1990), pp. 217-27. P.R.O., SP 10/4/12 M. fo. 29v. Foxe, 1579-80; Proctor, sigs. G5r-G7r. Nichols, 49-50, n. a; Proctor, sigs. I3v-K2r; Bindoff, iii. 70-71; Bryson, p. 218. Nichols, v-viii, 70-71, ns. a-c, a.
 Brit. Libr., Harley MS. 419 fos. 137-137v; John Foxe, Acts and Monuments (1570 edition) (Sheffield, 2004) [http://www.hrionline.ac.uk/johnfoxe/index.html, accessed 15 October 2008], 2288-97; T.S. Freeman, &apos;"As true a subiect being prisoner": John Foxe&apos;s notes on the imprisonment of Princess Elizabeth, 1554-5&apos;, English Historical Review, cxvii (2002), 104-116. J. Strype, Annals of the Reformation (7 vols., Oxford, 1824 edn. ), i. 367; Lambeth Palace Library, MS. 3196 fo. 15; Illustrations of British History, ed. E. Lodge (3 vols., 1838 edn. ), i. 369; "The count of Feria&apos;s dispatch to Philip II of 14 November 1558&apos;, eds. M.J. Rodríguez-Salgado and S. Adams, Camden Miscellany 28 (Camden Society, 4th s. 29, 1984), pp. 302-44. Alsop, "Community of the Exchequer"; Coleman; Ramsay, City of London, pp. 147-8. Ramsay, City of London, pp. 147-8; A. Johnston, "William Paget and the late-Henrician polity" (unpublished Ph.D. thesis, St Andrews, 2003). Ramsay, City of London, pp. 146-73; "The Foreign Policy of Elizabeth I", ed. Haigh, pp. 147-68. Ramsay, City of London, pp. 53-6; Bindoff, i. 569-70; ii. 248-50; Loades, Winchester, pp. 8-10, 17-8, 31, 33-4, 131, 166, 171. P.R.O., SP 11/13/53; Ramsay, City of London, pp. 147-8. P.R.O., SP 12/40/62; SP 59/4/38 fos. 214-215v; Ramsay, City of London, pp. 149-56. Brit. Libr., Lansdowne MS. 7/49; Port and Trade, ed. Dietz, pp. 156-60; Ramsey, City of London, pp. 150-1. P.R.O., SP 10/13/82; Port and Trade, ed. Dietz, ix-xiii; The Report of the Royal Commission of 1552, ed. W.C. Richardson (Morgantown, WV, 1974); J.D. Alsop, "The revenue commission of 1552", Historical Journal, xxii (1979), 511-533; N.S.B. Gras, Early English Customs System(Cambridge, Mass., 1918), pp. 127-8; Ramsey, City of London, pp. 151-. P.R.O., C 66/908 m. 20v; Calendar of the Patent Rolls Preserved in the Public Record Office, Mary and Philip and Mary, eds. A.E. Stamp et al(4 vols., 1937-9), [1555-7]. 317. Rates of the Custome House: A Tudor Book of Rates, ed. T.S. Willan (Manchester, 1962), xxi-xxiii; N.S.B. Gras, &apos;Tudor "Books of Rates": a chapter in the history of the English customs&apos;, Quarterly Journal of Economics, 26 (1912), 766-75; "The origin of the national customs-revenue of England", Quarterly Journal of Economics, 27 (1913), 107-49;Early English Customs System (Cambridge, Mass., 1918), pp. 94-100; H.S. Cobb, &apos;"Book of Rates" and the London customs, 1507-1558&apos;,Guildhall Miscellany, iv (1971), 1-13. Brit. Libr., Add. MS. 25097; P.R.O., C 66/920 mm. 12v-@; Stamp, [1557-8]. 75-7; Willan, xxii-xxviii; Port and Trade, ed. Dietz, ix, xii-xiii; G.D. Ramsay, "The smuggler&apos;s trade: a neglected aspect of English commercial development", Transactions of the Royal Historical Society, ii (1952), 131-57; W. Sharpe, "Correspondence of Thomas Sexton, merchant of London, and his factors in Danzig, 1550-1560" (unpublished M.A. dissertation, London, 1952); Dietz, "Antwerp and London", pp. 186-9; E.T. Jones, "Illicit business: accounting for smuggling in mid-sixteenth century Bristol", Economic History Review, liv (2001), 17-38. P.R.O., SP 70/95 fo. 1494. P.R.O., SP 12/18/29; Dietz, "Antwerp and London", pp. 186-9; Ramsay, City of London, p. 150. Ramsay, City of London, pp. 151-3. Jones, 22-36; Port and Trade, ed. Dietz, xiv; Dietz, "Antwerp and London", p. 189, n. 8. P.R.O., SP 11/13/46 fos. 94-95v; Brit. Libr., Lansdowne MS. 35 fos. 20-24; Port and Trade, ed. Dietz, ix-x, xiii, pp. 161-21, 166-7. P.R.O., E 159/340, rot. 222; Port and Trade, ed. Dietz, pp. 156, 160. I. Gadd, &apos;"A suitable remedy?" Regulating the Printing Press, 1553-1558&apos;, 1556-57: The Crucible of Confessional Conflict, ed. E. Evenden (Aldershot, forthcoming 2008). Ramsay, City of London, pp. 33-80; Dietz, "Antwerp and London", pp. 191-2; "oligopoly, n.", Oxford English Dictionary[http://dictionary.oed.com, accessed 22 November 2008]. Dietz, "Antwerp and London", pp. 186-9. P.R.O., E 159/350, Hilary, 336; E 159/350, Hilary, 344-5; E 159/350, Hilary, 348; E 159/350, Hilary, 351; E 178/3274; E. Jones, "Bridgwater Port Survey, 14 May 1565" [http://www.bris.ac.uk/Depts/History/Maritime/Sources/1565bridgwater.htm, accessed 29 October 2008]; "Bristol Port Survey, 21 May 1565" [http://www.bris.ac.uk/Depts/History/Maritime/Sources/1565bristol.htm, accessed 29 October 2008]; Chester Customs Accounts, 1301-1566, ed. K.P. Wilson,Record Society of Lancashire and Cheshire, 111 (Chester, 1969); W.R.B. Robinson, "The etablishment of royal customs in Glamorgan and Monmouthshire under Elizabeth I", Bulletin of the Board of Celtic Studies, xxiii (1970), 347-96. P.R.O., E 159/350, Hilary, 319; B.Y., A Sure Guide to Merchants, Custom-House Officers, &c. Or The Modern Practice Of the Court of Exchequer (1730), pp. 431-46. P.R.O., SP 12/47/58; SP 12/47/255-6; Gras,Early English Customs, 94-100; Port and Trade, ed. Dietz, x-xiv; Ramsay, City of London, pp. 153-4. Jones, 17-38; Port and Trade, ed. Dietz, xiv-xxiii; Dietz, "Antwerp and London", pp. 186-203; N. Williams, "The London port books",Transactions of the London and Middlesex Archaeological Society, xviii (1955), 13-26. P.R.O., E 122/89/8; E 190/2/1; E 190/1/4; E 190/4/2; Dietz, "Antwerp and London", pp. 186-203. Stamp, [1557-8]. 13-4; Brit. Libr., Lansdowne MS. 3/71; Ramsey,City of London, pp. 151-6; J.F. Wadmore, "Thomas Smythe of Westenhanger, commonly called Customer Smythe", Archaeologia Cantiana, 17 (1887), 193-208; A.J. Loomie, The Spanish Elizabethans: the English Exiles at the Court of Philip II (1963), pp. 14-51; Bindoff, @. @-@;Oxford DNB. Jones, 20, 27-8; Port and Trade, ed. Dietz, x-xiv. Jones, 17-38; Port and Trade, ed. Dietz, x-xii. Port and Trade, ed. Dietz, [xii-xiv]; Ramsey, City of London, pp. 151-6; Wadmore; Oxford DNB. P.R.O., E 163/14/4; E 159/340, rot. 222; E 178/7075; Brit. Libr., Lansdowne MS. 35 fo. 119; Lansdowne MS. 41 fos. 50-53; Lansdowne MS. 41 fos. 54-56; Port and Trade, ed. Dietz, xii-xiv, pp. 156-64; Ramsay,City of London, pp. 153-4. P.R.O., SP 12/40/51; SP 12/46/34; SP 12/66/17; SP 12/66/20-1; SP 12/66/35; SP 70/19/386; Brit. Libr., Lansdowne MS. 5/27; Ramsay, City of London, pp. 148, 154. Thomas Milles, An Ovt-Port-Cvstomers Accompt (STC 17935; [London, 1612? ]), sig. D2r; F.C. Dietz, "Elizabethan customs administration", English Historical Review, xlv (1930), 35-57; Ramsay,City of London, pp. 148, 154. Sir Robert Naunton, Fragmenta Regalia (Wing N250; [London,] 1641), pp. 12-3. The Literary Remains of King Edward VI, ed. J.G. Nichols, Roxburghe Club (2 vols., 1857), i. clxxi, ccxxvii. Ramsay, City of London, pp. 146-7, 151, 154.